Studio 6 is a collective of Serbian performing musicians devoted to promotion of today’s music. 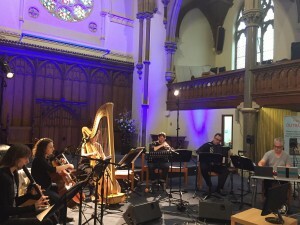 A modular ensemble, which includes Baroque flutes, trumpet, harp, accordion, cello and electronics, gathers internationally acclaimed performers of both composed and improvised music. The artistic goal of the collective is to encourage a dialogue between listening, interpreting and creating in contemporary music. 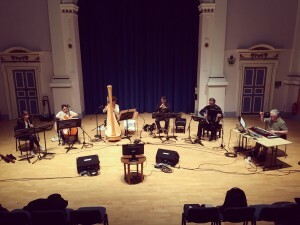 Their activities range from Serbian first performances of 20th century solo and chamber repertoire, to educational workshops for students and performances of experimental pieces by younger generations of composers and sound artists. 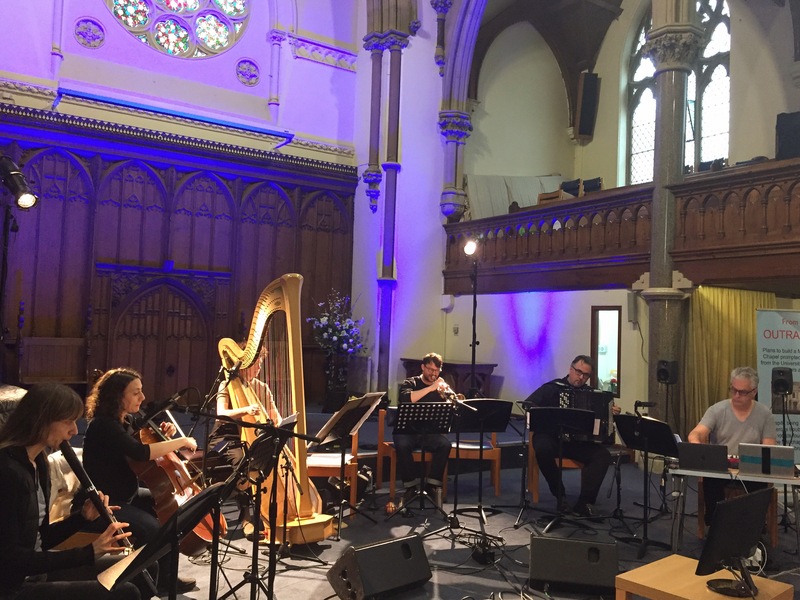 Special attention is given to commissioning and creative collaboration on new pieces, given the possibilities of the ensemble’s un-orthodox instrumentation, as well as welcomed additions of other performing arts, such as theatre, dance and video. In addition, an extensive research is conducted towards the avant-guarde composers of the Yugoslav era, such as Ernö Király. Recent collaborators include Richard Barrett, Agustí Fernandez, Heiner Goebbels, Ensemble Phoenix Basel, Ensemble Proton Bern, Biljana Djurdjević, visual artist, Rodrigo Casares, video artist. Ensemble Studio6 has been supported by: Serbian Ministry of Culture in 2014, 2015 and 2016 (for Concert seasons in Serbia and performances at Serbian Cultural Centre in Paris); Ernst von Siemens Foundation, SOKOJ Fund for culture, and Secretariat for Culture of the Autonomous Province of Vojvodina.